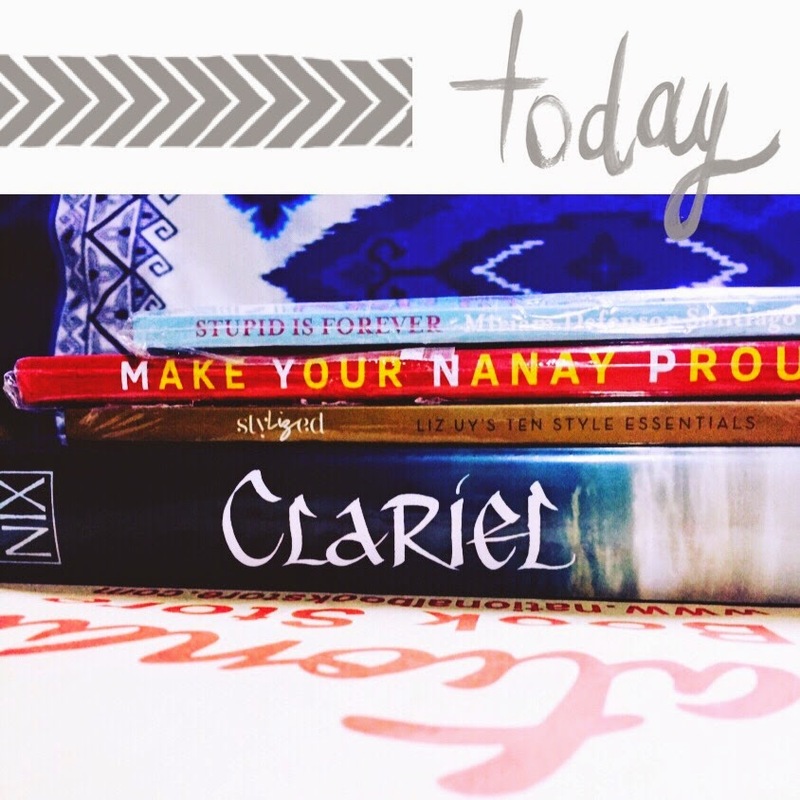 In Between the Covers: Verabear's Book Case: Where do you find the time to read? Where do you find the time to read? If it isn't obvious yet, I am a reader. :) Even at my busiest time, there is always space for books. However, this is not to say that I have read every book I own, or every book I wanted to read. So many good books. So little time. I'd love to read, but I just don't have the time. Here's the truth. I don't often have the time either. In fact, I didn't get to read much last year. Was I busy? Stressed at work? Preparing for a big life event? No. Not really. And, Yes. My days were full, so I guess I was busy in a way, but it doesn't feel like I was too busy I couldn't pick up a paperback. In fact, I picked up a new game - FarmVille 2 on the iPhone. I also spent lots of time with my Loom Bands. There were days when work was stressful, but it's a far cry from three or so years ago when I was spending long hours at work. Last year was actually the first time things got lite. So no, I can't blame work for not having had time to read. Yes, I got married last year! But no, the wedding preparations didn't make me too busy that there was no time for an ebook or no space for a book in my bag. Fact is, I tried to read more and just couldn't. There is no other way for me to explain this. Many times I'd pick up a book and I'd read a few lines, a few pages, but I get nothing. No reaction. Nothing clicks. So I put it down and try again another day. Or I try another book. And so on. It was frustrating, but it taught me something: You have to be ready to read. It's not enough to just want to read. For me, it wasn't about not having time to read. It was as if there was a barrier to reading. Does it sound like I'm contradicting myself? This is for those of you who feel that the barrier to reading is time. Schedule reading into your daily activities. It could be 15 to 30 minutes after each meal. Or it could also be part of your night-time routine when you wind down for bed. Get in 5 pages before breakfast. Pick a schedule and stick to it. Read a few pages at the waiting area at your doctor's appointment, or anywhere you need to wait in line. Read while the little one watches Hi-5 or is busy building a tower, or setting up a road rally. If you find yourself mindlessly clicking thru online articles, one after the other, evaluate whether you'd rather finish your book instead. You have time. If it doesn't spark your interest after a few pages. Let it go. It doesn't mean it's a bad book, or that you don't have to ever read it again, it just means that now's not the time for you to read it. That's how it was when I read Wicked, which turned out to be one of my favorites. Same thing with Revolutionary Road. And again last month while reading Love Walked In. If it's still reading time when you realize that book 1 isn't your thing, pick up another book. Or open your reading app and start actually reading one of your ebooks. If you are a true bookworm, even if you're more of the old-school reader like me who prefers the touch of the page and the smell of books old and new, you already have a growing digital book collection. Now's the time to open that Kindle app and get reading. I read while sitting upright, but I can be just as comfortable lying down. Find your own spot where there isn't a lot of distraction. While vacationing for the first time with my husband's family last year, my spot turned out to be a lounge chair at the second-floor balcony. At home, I can sit anywhere. I also find that I really like reading at the driver's seat - while parked of course. Goodreads has really helped jump-start my reading year 2015. In January, I decided to read along with the monthly book discussions with The Filipino Group. We are reading High Fidelity all through April. So I hope I've helped convince you that you can read more, NOW. Do you have other tips to cultivate a reading lifestyle?